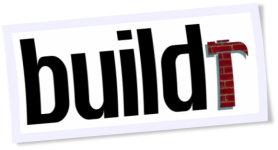 Apache Buildr is a build system for Java-based applications, including support for Scala, Groovy and a growing number of JVM languages and tools. We wanted something that’s simple and intuitive to use, so we only need to tell it what to do, and it takes care of the rest. But also something we can easily extend for those one-off tasks, with a language that’s a joy to use. And of course, we wanted it to be fast, reliable and have outstanding dependency management. If you think about it, the question isn’t “Why use Buildr?”, it’s really “Why use anything else?” The advantages afforded by Buildr are so substantial, I really can’t see myself going with any other tool, at least not when I have a choice. That’s still the strongest sell: it builds everything I need, and as I’ve needed more, I just got things working without a lot of fuss. We used to rely on Ant, with a fairly extensive set of scripts. It worked but was expensive to maintain. The biggest mistake afterward was to migrate to Maven2. I could write pages of rants explaining all the problems we ran into and we still ended up with thousands of lines of XML. I’ve cleaned up & migrated the Vamosa build process from 768 lines of Ant build.xml to 28 lines of Buildr. A simple way to specify projects, and build large projects out of smaller sub-projects. Pre-canned tasks that require the least amount of configuration, keeping the build script DRY and simple. Compiling, copying and filtering resources, JUnit/TestNG test cases, APT source code generation, Javadoc and more. A dependency mechanism that only builds what has changed since the last release. A drop-in replacement for Maven 2.0, Buildr uses the same file layout, artifact specifications, local and remote repositories. All your Ant tasks are belong to us! Anything you can do with Ant, you can do with Buildr. No overhead for building “plugins” or configuration. Just write new tasks or functions. Buildr is Ruby all the way down. No one-off task is too demanding when you write code using variables, functions and objects. Simple way to upgrade to new versions. So let’s get started. You can read the documentation online, or download the PDF. Change: Add support for gwt 2.8.1 to gwt addon. registered through the `package` helper`. Reported by Dieter Vrancken. Change: Update TestNG version to 6.11. Change: BUILDR-731 – Enhance Sonar addon to support configuration of the project version. Submitted by Ross Mahony. Fixed: Fix pom generation to eliminate invalid `classifier` element from being added to POM. Change: Add css2gss task to gwt addon to support conveting from deprecated css syntax to modern gss syntax. Change: Add support for gwt 2.8.0 to gwt addon. Change: BUILDR-709 Integrate `buildr/custom_pom` into core and just make it the default pom generated. This is a partial list — see the CHANGELOG for full details. The Apache Software Foundation is a non-profit organization, consider sponsoring and check the thanks page. ColorCons, copyright of Ken Saunders. DejaVu fonts, copyright of Bitstream, Inc.
Community member quotes from a thread on Stack Overflow.